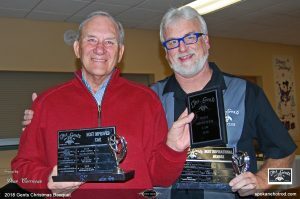 Congratulations to Dan Carney and Steve Williams for winning he Gents Auto Club’s top awards for 2018. Dan’s ’70 Chevelle was voted most improved car and club VP Steve was awarded most inspirational Gent. The two represent the best aspects of being a Gent and their cars will be featured on the cover of our 2020 Gents calendar.